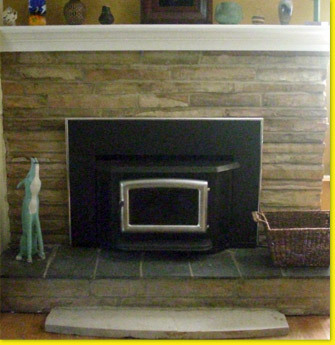 ﻿ NJ Chimney, Fireplace, Roof & Dryer Vent Repair, Service & Cleaning- chimney repair nj- roof repair nj- Certified chimney sweep and mason..
Certified Craftsmen install highs efficiency woodstoves and inserts (Pacific Energy). We are meticulous with our installs, ensuring a proper installation per manufacturers specifications. 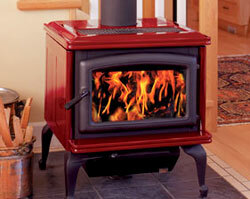 This helps ensure safer operation while maintaining the high efficiency levels these stoves are meant to burn at. We install a complete stainless steel liner form top to bottom for ease of cleaning, hazard reduction, and proper function of the stove. 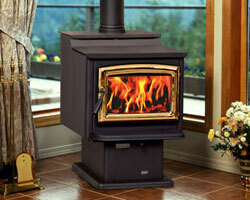 Please call for a site insection or chimney inspection for an insert. We will assess the requirements specific to your installation, and make proper recommendations. 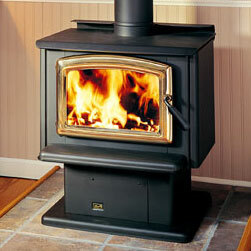 If you wish after the inspection, we will order and install you selected stove. Our high efficiency stoves and inserts have some or all of the qualities listed below depending on your selection of either "Efficiency (LHV)" or "80% +". Crafted for maximum heating capacity, maximum burn time and maximum view of your wood fire, our high efficiency stoves answer the call for a highly effective wood stove operation.